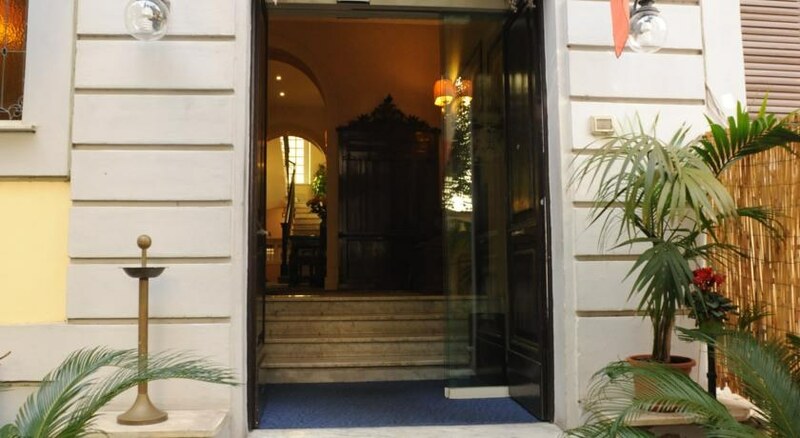 Situated in one of the most exclusive areas of rome, hotel silva is the ideal solution for your job engagement as well as for your relaxing vacation in a fascinating ancient palace in liberty style. 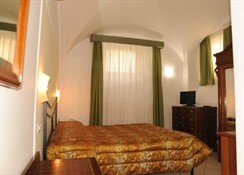 The rooms are equipped with all the comfort and furnished with a fine taste. 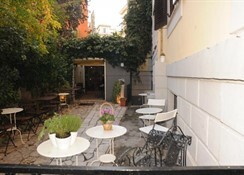 You'll be in a magical atmosphere increased by specialties and the creative kitchen of the bar-restaurant. 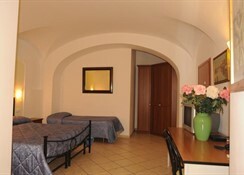 Situated few steps to piazza bologna and the tube station, the hotel is just minutes to the renowned locations of the rome city centre. Its 13 rooms are spreads over four floors. 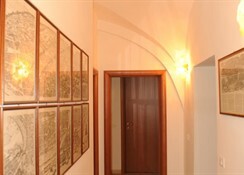 The reception is located on the first floor as well as the breakfast room, characterized by a friendly atmosphere given by the warm shades of orange that will make your awaking even more pleasant. All the rooms are modernly equipped with satellite tv, free access to high speed internet, refrigerator, telephone with international line, bathroom with shower, hair dryer, air conditioning, safe-deposit box. 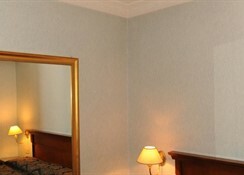 The hotel is not only equipped with single, double and twin, triple and quadruple standards, types of rooms offering special price, characterized by its location within the building. A single room and a double/twin room are located at least floor (- 1 floor), while a double room is located on the attic floor is characterized by its porthole window.